The Iceman Movie updates Loving husband. Devoted father. Ruthless killer. 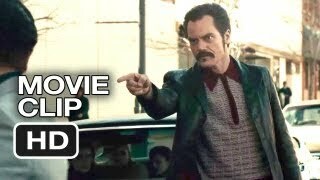 Inspired by actual events, The Iceman follows notorious contract killer Richard Kuklinski (Michael Shannon) from his early days in the mob until his arrest for the murder of more than 100 men. 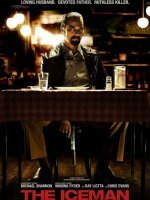 Appearing to be living the American dream as a devoted hu... show all sband and father; in reality Kuklinski was a ruthless killer-for-hire. When finally arrested in 1986, neither his wife nor daughters have any clue about his real profession. changed the title from "The Ice Man" to "The Iceman"
Winona Ryder has just committed to star with Michael Shannon and Chris Evans in The Iceman, the Ariel Vromen-directed drama based on the Anthony Bruno book about Richard Kuklinski. Quentin Tarantino is adding four more veteran thesps to the cast of his epic spaghetti Western Django Unchained.